Rent a private jet to New Delhi, the capital city of the Republic of India, home to the country’s executive, legislative, and judiciary branches. 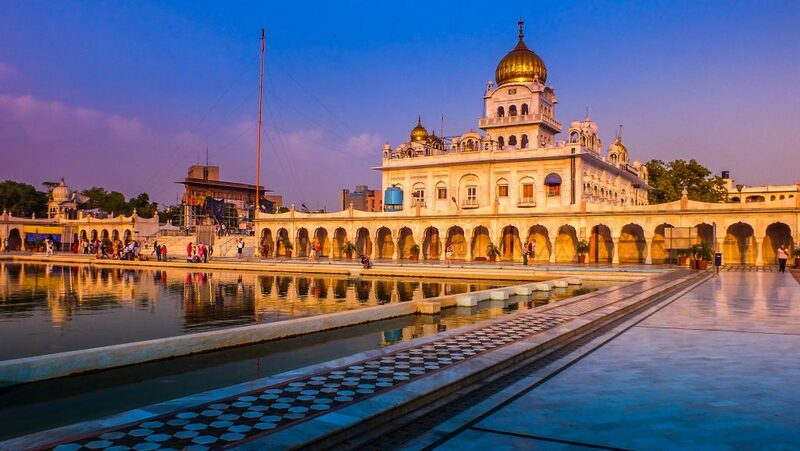 New Delhi and it’s surround metropolitan area is home to more than 25 million people, making it one of the most densely populated cities on earth, and it’s economic, political and cultural importance make it a popular destination for private charter flights. Chartering a private jet to Indira Gandhi International Airport (VIDP, DEL) is the most comfortable, luxurious, and secure way to travel to/from the capital of India, and ACA is your source for simple, pay-as-you-go jet charter service to/from New Delhi using the highest standards in business & leisure aviation. Air Charter Advisors allows clients to travel to/from India with the highest levels of safety, comfort and anonymity. Our team specializes in VIP service on all of our routes, whether you’re flying domestically or internationally, and our attention to detail and commitment to customer safety set us apart from the competition. We hold our serves to some of the highest safety standards in private aviation, and we’re available 24 hours a day and 7 days a week to meet all of your needs, whether you’re an executive in India or traveling internationally from the United States. We also offer private jet management and marketing services, can assist in acquiring/selling a private jet, and a wide range of other aviation services. ACA is Wyvern-certified, one of the highest safety accreditations in private aviation, and the aircraft we use for charter flights to/from New Delhi are all operated by FAR Part 135 or 121 (or foreign equivalent) air carriers. We offer personal, all-inclusive air charter service to C-level executives, VIP/celebrities, family offices, government officials, NGOs, personal assistants and leisure travelers from around the globe. Enjoy the peace of mind you get from working with a private jet charter broker you can trust, and let Air Charter Advisors become your local and global aviation solution for luxury air travel, aircraft acquisition and private jet management in New Delhi, India. Request a quote now, or give us a call at 1-888-987-5387 to book your upcoming charter flight. Our team can assist you with everything from arranging catering, luxury ground transportation, multi-leg trips, and any special requests you may have for your flight – consider our New Delhi Private Jet Charter team your one-stop shop for all your private aviation needs in the capital city of India. Private charter flights to New Delhi will arrive using Indira Gandhi International Airport (DEL), home to three private FBO terminals and an impressive array of other aviation related businesses. Safdarjung Airport is located just 6 nautical miles away, and is suitable for domestic and intercontinental turboprop flights. ACA has access to thousands of Wyvern-certified private aircraft located around the world, all standing by for your charter flight. All of the jets, turboprops and pistons we arrange are operated by FAR Part 135 or 121 (or foreign equivalent) air carriers, using only veteran pilots with a wealth of experience in the private jet they’re flying. Our New Delhi Private Jet Charter brokers can provide a variety of aircraft options based on the goals and budget of your flight, allowing you to choose between a cost-effective option, or the most luxurious, stylish private jet on the market. Check out our Aircraft Gallery for more details on all of the aircraft available for your trip. 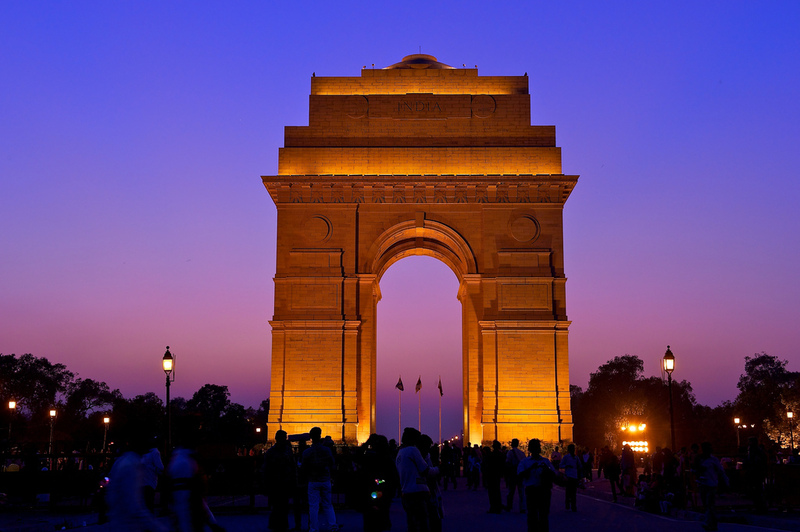 Fly private to New Delhi, the capital city of India and one of 11 districts in the National Capital Territory of Delhi (NCT). Although Delhi and New Delhi are used interchangeably, New Delhi only forms a small part of the National Capital Region, which is much, much larger, and home to an enormous population of more than 25 million. New Delhi is estimated to date back more than 5,000 years, making it one of the oldest cities on earth alongside Jerusalem and Varanasi — it’s first documented appearance comes from the Indian mythological epic Mahabharata as Indraprastha (“City of Indra”), and throughout the millennia, it’s said to have been destroyed and rebuilt 11 times. Today, the capital region is a major center for Indian arts, commerce, education, entertainment, fashion, finance, healthcare, media, professional services, research & development, tourism, and transport. 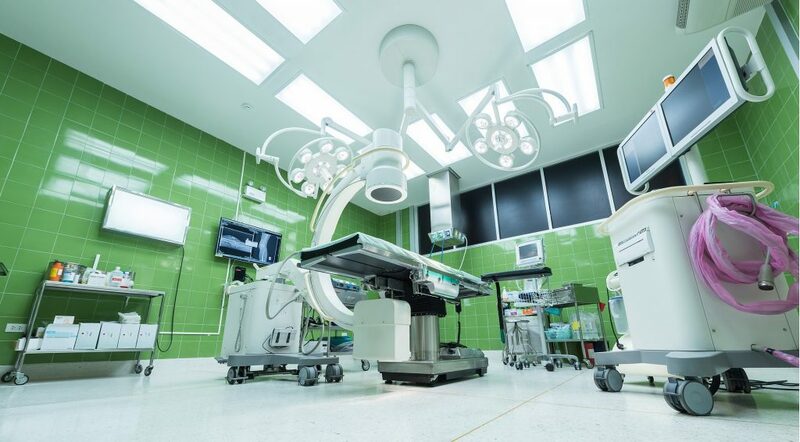 It’s also a popular destination for medical tourism, with international clients flying to India to have medical operations/procedures performed at one of India’s world-renowned medical institutes and health facilities. Home to popular attractions such as the Lotus Temple, Red Fort and Humayun’s Tomb, along with a vast array of museums, landmarks, gardens and religious monuments, New Delhi welcomes more than 5 million visitors annually, ranking it as the 28th most visited city in the world and the top destination within India. New Delhi is the capital city of India, as well as India’s capital territory Delhi, a massive metropolitan area in the country’s north. While only recognized as India’s official capital since 1911, it has been the political and financial center of many empires, most notably the Mughal Empire from 1649 to 1857. 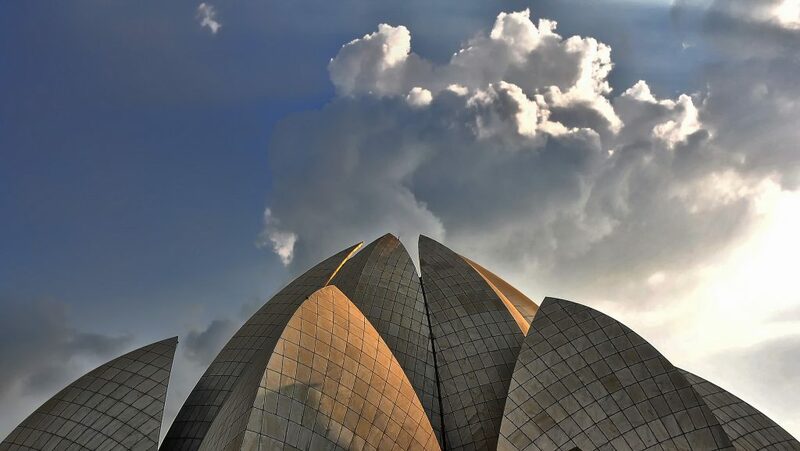 Among the city’s numerous marvels and landmarks is the Lotus Temple, designed in the shape of a lotus flower, featuring 27 petals constructed of marble. Once you’ve settled in, you can catch a cricket match at the Feroz Shah Kotla, a historic cricket ground that will give you a taste of the true India. You can also take in a live Bollywood show at the Kingdom of Dreams, an entertainment complex celebrating Indian art and culture. The best time to visit is during the cool, dry season, running from November to March. 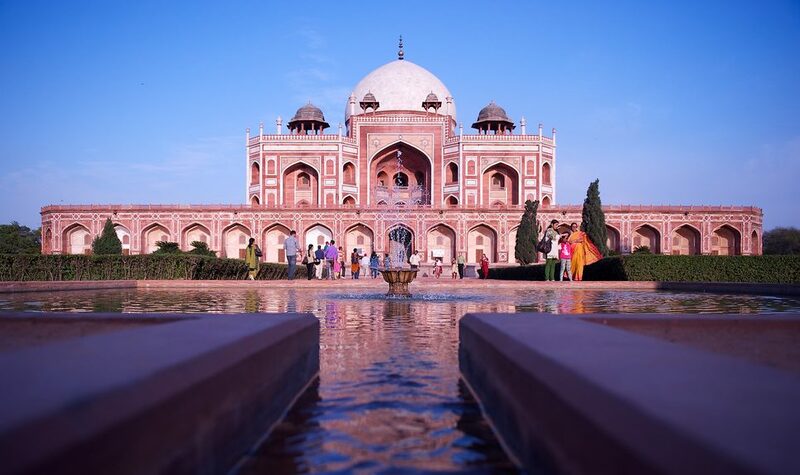 Check out our recommendations below for more things to do after your private flight to New Delhi, India. 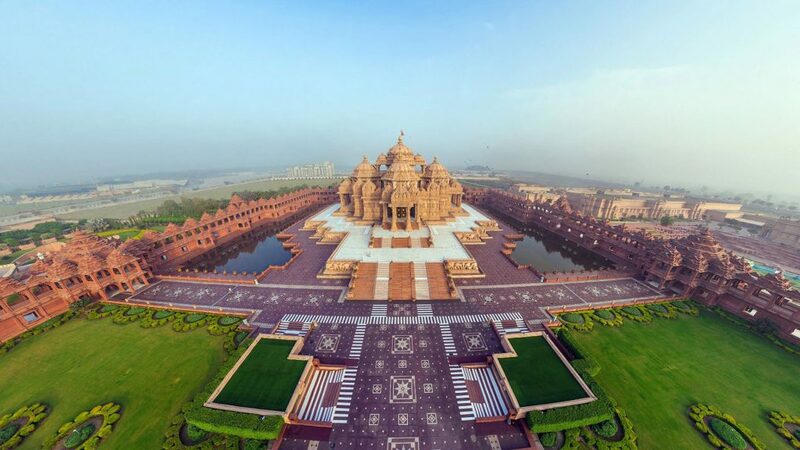 Charter a private flight to New Delhi, the capital city of India. From it’s ancient cultural beginnings, the rivers, mountains and vegetation, all the way to its exotic cuisine and spices, New Delhi is a wonderful place to visit, and your stay should be equally exquisite. India’s capital city provides many five star hotel options for luxury vacations and business travel. With this in mind, we’ve curated the following list of luxury hotels and resorts based on many factors, including passenger feedback, location and amenities, as well as online reviews and recommendations. Our number one choice for clients flying private to New Delhi is the Leela Palace Kempinski. This five-star hotel is ideal for affluent travelers, corporate professionals and honeymooners seeking the royal treatment, offering more than 250 luxurious rooms, fine restaurants, nightclubs and a spa. The hotel is located near the Prime Minister’s office, the Secretariat and Rashtrapati Bhavan. Check out some of our other top hotel choices to pair with your charter flight! Medical tourism is a growing sector in India, with between 170,000 and 240,000 patients traveling internationally to India for medical procedures from 2012-2014. Medical tourism is estimated be a $3 billion industry as of 2015, and it’s projected to grow to $7–8 billion by 2020. Cities including Chennai, Kolkata, Mumbai, Hyderabad, Bangalore and the National Capital Region of Delhi are home to some of the top medical facilities and doctors in the world, and have received the highest number of foreign patients traveling to India for medical procedures. Whether you’re an able-bodied traveler looking for the best treatment available, or require special assistance and flight requirements for an important operation overseas, Air Charter Advisors is your premier source for medical charter flights and emergency air ambulance service both in the United States, and in the Republic of India. Our team has worked with several clients with a variety of special and delicate needs, accommodating passengers with the utmost comfort, convenience and care. Medical charter flights to/from New Delhi, India may involve complex, sometimes overwhelming details, which is where we come in. ACA is here to handle all of the logistics and documentation for your flight, allowing you to relax and focus on your health. Don’t hesitate to call us to discuss the goals and requirements for your flight. Air Charter Advisors can arrange for your private jet charter flight to arrive/depart from the following airports near New Delhi, India and neighboring areas. Fly private to Indira Gandhi International Airport (IATA: DEL, ICAO: VIDP), the main airport serving the National Capital Region of Delhi, India. The airport is spread out over 5,106 acres and is located 10 miles (16 km) from city center of New Delhi. The airport is named after India’s former Prime Minister, Indira Gandhi. 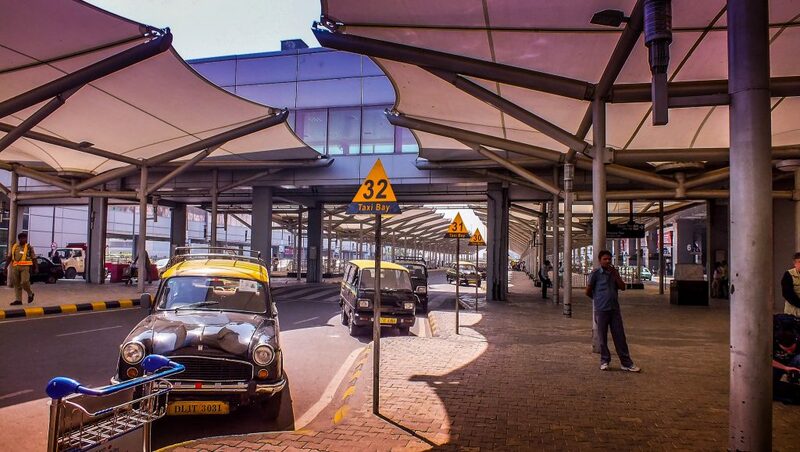 Since 2009, it’s the busiest airport in India, handling more than 55 million passengers annually; it recently overtook Mumbai Airport in terms of cargo traffic late in 2015. In 2015 at the Skytrax World Airport Awards, (DEL) Indira Gandhi International Airport was awarded the Best Airport in Central Asia and Best Airport Staff in Central Asia; IGI also ranked first in the 2015 Airport Service Quality (ASQ) Awards. Any private jet can utilize the long runways at (VIDP) Indira Gandhi Airport, and private flyers can quickly arrive via two private FBOs, and customs and immigration is available 24 hour a day. Request a Quote or give us a call at 1-888-987-5387 to speak with one of our private jet charter brokers to arrange your upcoming flight to New Delhi, India. Our team of experienced air charter professionals are available to you by phone or e-mail 24 hours a day, 7 days a week.